Browse our fantastic collection of black sofas, all available in any fabric in the world and of course handmade in Britain. Whether you call it Black, Charcoal, Ebony or even Obsidian, a luxury Black Sofa is the number one item for comfy homes. Imagine your interior with the addition of a bold black chesterfield sofa, defining the very essence of style, how about a dreamy charcoal black sofa bed for any of those impromptu stopovers. Comfy black corner sofas are just the thing for spending some quality time with the family or why not choose a quality armchair in subtle black sofa tones. Perhaps you are looking for more contemporary sofas to add a bit of style to your interior or maybe you want to be more traditional, there are an abundance of black sofas to suit any interior styles. All of our bespoke, British sofas can be handmade using your choice of fabrics, to make sure you get the perfect black sofas. With expert advice in abundance in both our showrooms and online, why not pop in to your local Sofas and Stuff and see where your imagination takes you. 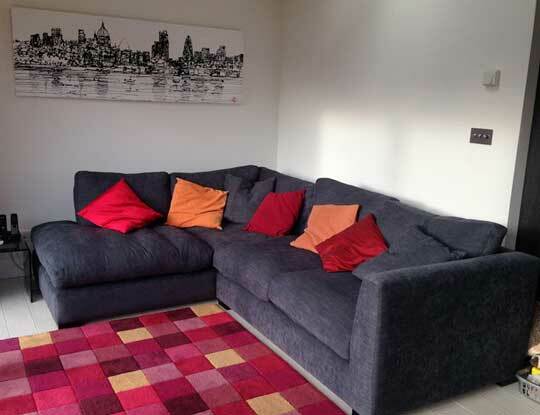 Add a luxury black sofa to your living room with one of our British made couches. We have an abundance of choice in our showrooms and online. We really do have something for everyone. From small 2 seater black settees to large charcoal corner units, you're sure to find something to suit your space and decor. Each of our 12 Nationwide stores has a unique set of products, some modern other traditional, but with one thing in common...expert product knowledge. Our company ethos is simple; We believe everyone should be able to afford their dream settee. That is why we offer interest free credit on all our furniture range, including all our black sofas, beds and chairs. We have a large range of styles to choose from including traditional and retro as well as contemporary and classic black Chesterfield sofas. There are an extensive range of sofa fabrics ranging from cottons, linens and wools to plush velvets. If you’re not sure which dark colour sofa fabric to choose then pick some free fabric samples and we will post them to you within 48 hours. 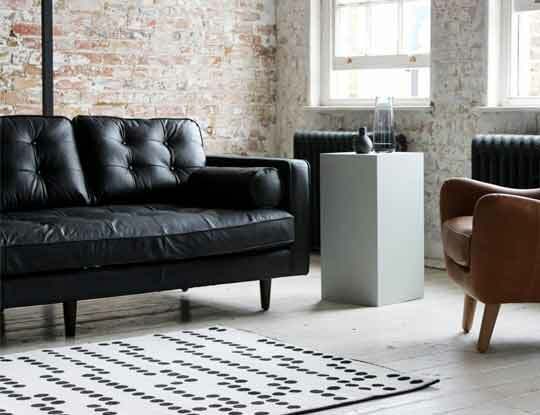 We also have lots more designer black fabrics in store, to help you create a bespoke couch you are proud of. Why not order some free black fabric samples pack, so you can see the high quality fabrics we offer.